To me, it’s a summer tradition. Summer nights just wouldn’t be the same without being crammed into the bed of a pickup with friends eating popcorn and battling mosquitoes. Growing up in Williston, ND, I had the luxury of going to a drive-in theater whenever I felt like it. 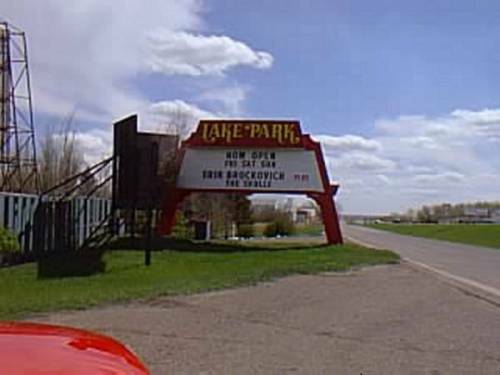 Williston boasts the last remaining drive-in theater in North Dakota, the Lake Park Drive-In. 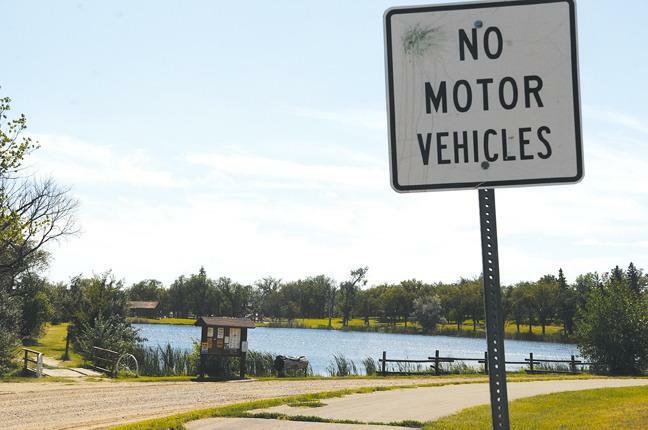 It gets its namesake for nearby Spring Lake Park, a popular outdoor recreation location north of Williston. Spring Lake Park provides Willistonites with a walking and biking trail, frisbee golf course, two "lakes" for canoeing and fishing, a dog park, a playground, picnic areas, and more. After moving to Grand Forks for college, the lack of a drive-in theater has left a noticeable gap in my summer evenings. It just doesn’t feel the same not to pack up on a whim, sneak half of the group in hiding under blankets in the backseat, and grab an overpriced “Chilly Dilly Pickle” from the snack bar. Driving into town from my house on the north end of Williston, I passed the Lake Park Drive-In daily. I didn't take this picture, but it's a familiar sight. As a little kid, I called the Lake Park Drive-In “The Popcorn Dances,” because of the short cartoon the theater played between the double-feature. Looking back in my childhood diary, my excitement was evident every time the drive-in opened for the summer and every time my family got the treat of popping popcorn, packing up in our pajamas, and heading to the drive-in for the night. In recent years, with the influx of oil traffic in Williston, rumors have raged that the Lake Park Drive-In will close for good in favor of selling the land to the oil field. Facebook groups sprung up in protest. Just this summer, rumor had it that the Lake Park Drive-In would be demolished and a new 12-plex would be built in its place. Thankfully, none of these rumors have come to fruition — The drive-in is open for business for yet another summer this season. Because it’s such a big part of summer tradition and memories for the residents of Williston, and because it’s a piece of history and the last remaining theater of its kind in the state, it would be an absolute shame to lose it to the oil field. If you can’t make it to the Lake Park Drive-In, there are still a few drive-in theaters in surrounding states. Minnesota has six remaining drive-in theaters, including the Sky-Vu Drive In — the closest drive-in theater to my current residence of Grand Forks — located in Warren, MN. South Dakota also has six drive-in theaters. 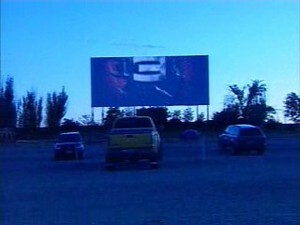 Montana has three drive-in theaters clinging to life, located in Billings, Plentywood, and Silverbow. If you’ve never been to a drive-in theater, you’ve really got to find your nearest one, pack up your friends or family, and go at least once. The memories I have of my experience at the Lake Park Drive-In are treasured, dating all the way from my early childhood to my last summer at home before heading off to college.